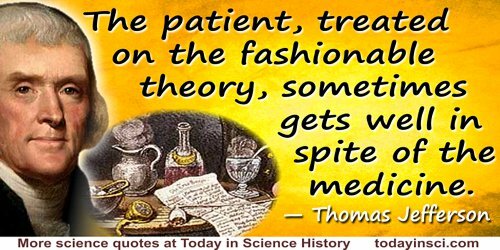 British natural philosopher, physician and writer. In Religio Medici (1642, 1754), pt. 1, sec. 16, 42. In 'Garden of Cyrus', Religio Medici and Other Writings (1909), 229. For God is like a skilfull Geometrician. Religio Medici (1642), Part I, Section 16. In L. C. Martin (ed. ), Thomas Browne: Religio Medici and Other Works (1964), 16. For the world, I count it not an inn, but an hospital, and a place, not to live, but to die in. In Religio Medici (1642, 1754), pt. 2, sec. 11, 203. Gold once out of the earth is no more due unto it; what was unreasonably committed to the ground, is reasonably resumed from it; let monuments and rich fabrics, not riches, adorn men’s ashes. I boast nothing, but plainely say, we all labour against our owne cure, for death is the cure of all diseases. Religio Medici (1642), Part I, Section 9. In L. C. Martin (ed. ), Thomas Browne: Religio Medici and Other Works (1964), 68. In Religio Medici (1642, 1754), pt. 1, sec. 12, 28. I would be content that we might procreate like trees, without conjunction, or that there were any way to perpetuate the World without this trivial and vulgar way of coition. It is common wonder of all men, how among so many millions of faces, there should be none alike. Religio Medici (1642), Part 2, Section 2. In L. C. Martin (ed. ), Thomas Browne: Religio Medki and Other Works (1964), 57. Men that looke no further than their outsides thinke health an appertinance unto life, and quarrell with their constitutions for being sick; but I that have examined the parts of man, and know upon what tender filaments that Fabrick hangs, doe wonder what we are not alwayes so; and considering the thousand dores that lead to death doe thanke my God that we can die but once. Religio Medici (1642), Part I, Section 44. In L. C. Martin (ed. ), Thomas Browne: Religio Medici and Other Works (1964), 42. Religio Medici (1642), Part I, Section 34. In L. C. Martin (ed. ), Thomas Browne: Religio Medici and Other Works (1964), 33. 19 Oct - short biography, births, deaths and events on date of Browne's birth.